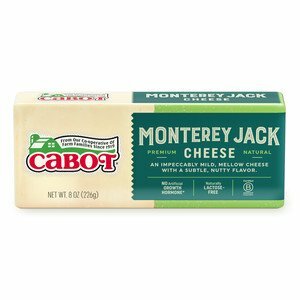 Grilled cheese sandwiches are fun and easy to make, but sometimes it's nice to try a little something different. 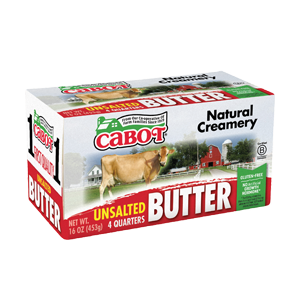 With only a bit of sliced turkey, dill pickle relish, sauerkraut, two ounces of Cabot Alpine Cheddar and two tablespoons of Cabot Unsalted Butter (for a little extra flavor! ), you can transform that regular old grilled cheese into a flavorful Griddled Rachel sandwich. When grilling up this delicious sandwich, make sure to use a griddle or stainless steel skillet. A cast-iron skillet is even better too. Grill the sandwich over medium-low heat, and cook the sandwich until it's perfectly golden on both sides. This Rachel sandwich is a great one to serve at get-togethers or family lunches, and it's pretty rich and satisfying too. It makes two servings, and it also works well with a nice side dish of healthy vegetables or crunchy greens. 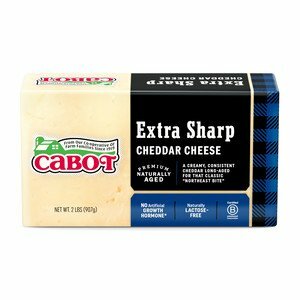 This recipe works with Cabot Extra Sharp Cheddar or Cabot Monterey Jack too if Cabot Alpine Cheddar is unavailable. If you like this recipe, make sure to rate and review it and share it with all of your friends and family! WHISK together in a small bowl ketchup, mayonnaise, relish and celery seed, if using. PLACE sauerkraut in small microwave-safe dish and microwave for 1 to 2 minutes or until steaming hot; set aside. SPREAD butter over one side of each bread slice. Turn slices over and spread each with some of ketchup-mayonnaise mixture. 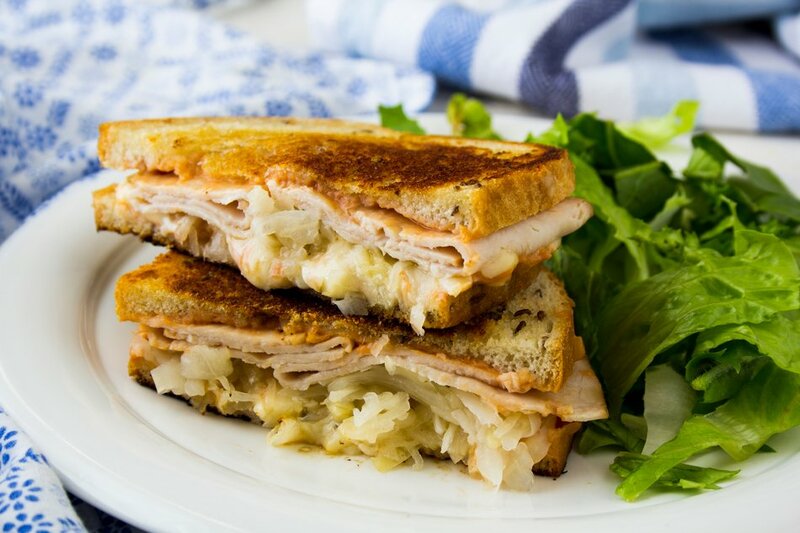 TOP two slices with turkey, then sauerkraut, then cheese. Top with remaining bread slices, buttered side up. PLACE large griddle or stainless steel or cast iron skillet over medium-low heat; add sandwiches and cook until golden on underside, about 4 minutes. Turn over and cook until sandwiches are golden on second side and cheese is melted, about 2 minutes longer. So delicious! You can't go wrong with this sandwich! Really loved this Grilled Cheese Recipe! 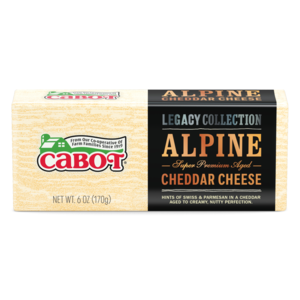 I used the Alpine Cheddar which is my fav new cheese from Cabot...Thanks for this awesome twist on Grilled Cheese.